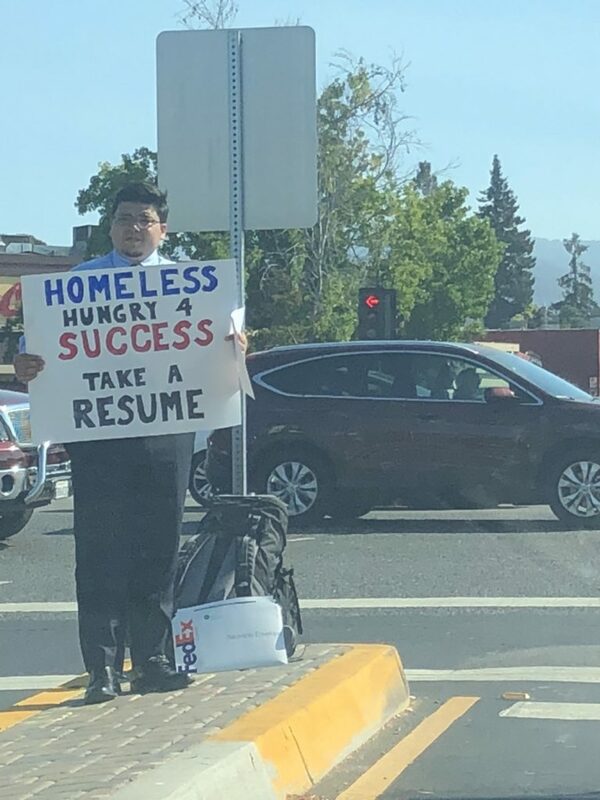 An homeless web developer named David Casarez has landed multiple job offers after totting a hand written cardboard advertising his resume on a highway median. “A product manager from Bitcoin.com was wondering if I could work remotely of if I want to relocate to Tokyo”. 0 Response to "Homeless Man Gets Multiple Job Offers after Photo of him Handing out his Résumè on a Highway Went Viral"